1. Advocacy and activism. Youth survivors of the February 14, 2018 shooting at Marjory Stoneman Douglas High School in Parkland, Florida harnessed ongoing media attention to rally against gun violence by hosting press conferences at their school and launching March for Our Lives, a student-led demonstration in Washington, D.C. that drew more than 1.2 million supporters. 2. Youth-directed grantmaking. Family and community foundations are creating novel programs to engage the next generation in philanthropy. In 2015, several large foundations launched YouthGiving.org as a hub for stories, data, funder profiles, and news related to youth philanthropy. Today, there are more than 800 youth grantmaking programs around the world! 3. A new generation of leadership. Some funders are going a step beyond grantmaking by providing formal leadership opportunities for youth. The Frieda C. Fox Family Foundation has a Junior Board, ages 8-18, that oversees individual and collective grants and receives mentorship around nonprofit best practices. Meanwhile, the Boys and Girls Clubs of Sarasota County, Florida have created a STAR leadership training program that prepares students ages 15 and up to serve on a nonprofit board of directors or a city/county advisory board as a full voting member for one year. Currently, more than 75 organizations in Florida have a STAR graduate on their board. 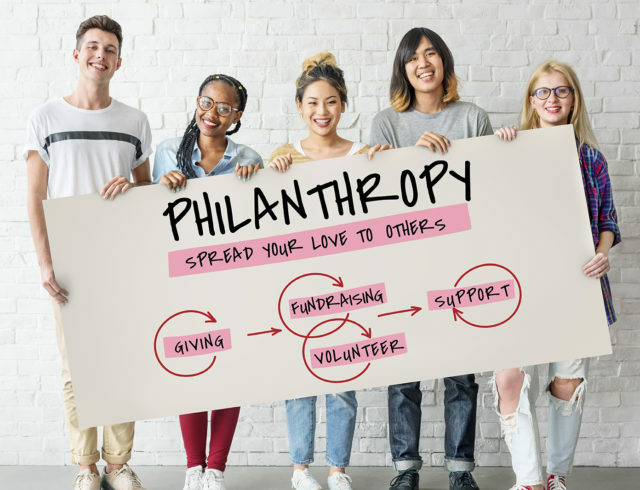 Is your organization interested in developing a youth-centered philanthropy program? Contact The INS Group today!